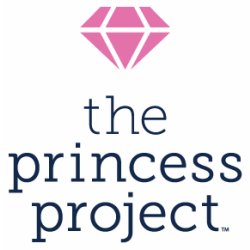 ﻿In addition to helping high school teens attend their prom with style and confidence, ﻿The Princess Project﻿ is driven by ﻿seven﻿ core values. We CELEBRATE bodies of all sizes and avoid using body imagery in our marketing and outreach. Body-oriented graphics and artwork—like torso silhouettes, dress outlines or generic, stock prom photos—inadvertently convey an idealized body size, style and look. By instead using images of the teens we serve and royalty-related imagery like tiaras and crowns, we celebrate the beauty and diversity of teens everywhere, in every size. We VALUE the importance of recycling and of using the earth’s resources wisely. We seek to show our respect for this recycling process by treating each clothing and/or accessory donation as valued and important. We ﻿TRUST﻿ that teens who are in financial need of garments or accessories will attend The Princess Project events, and we will welcome them without question. We in turn will foster the important trust of our donors, who give to The Princess Project with the intent that teens in need will benefit. We strive to OFFER meaningful volunteer leadership opportunities for women, and seek to provide a venue for volunteers to grow personally and professionally. We seek to make The Princess Project planning process rewarding, educational, and fun for our volunteers. We strive to INCLUDE representatives of teens that we serve in our decision-making processes. We strive to CREATE a respectful, fun atmosphere for the teens we serve at the Dress Giveaway events. We strive to INCLUDE the diversity of people represented in our communities and our volunteer corps.